The Taylor Baritone 8-string Grand Symphony guitar is a wonder to behold and features a solid cutaway Sitka Spruce top with abalone rosette, Indian Rosewood back and sides, and tropical American Mahogany neck. The fingerboard as well as the headstock overlay and bridge are made of dark ebony and the fingerboard itself is accented with luminous pearl diamond inlays. The nut and compensated saddle are both composed of bone and the body of the guitar is finished in a spectacular gloss finish. 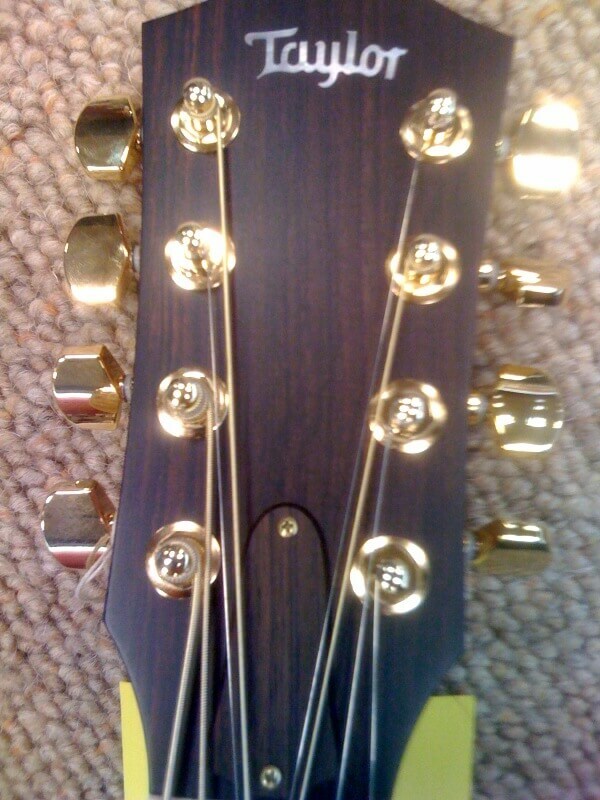 Scale length of the Baritone 8-string is 27", width at the nut is 1 3/4", the body itself is 4 5/8" deep and 16 1/4" wide. The ebony fingerboard has 19 frets all of which are accessible and the headstock is ornately finished with Gold-plated Taylor tuners. 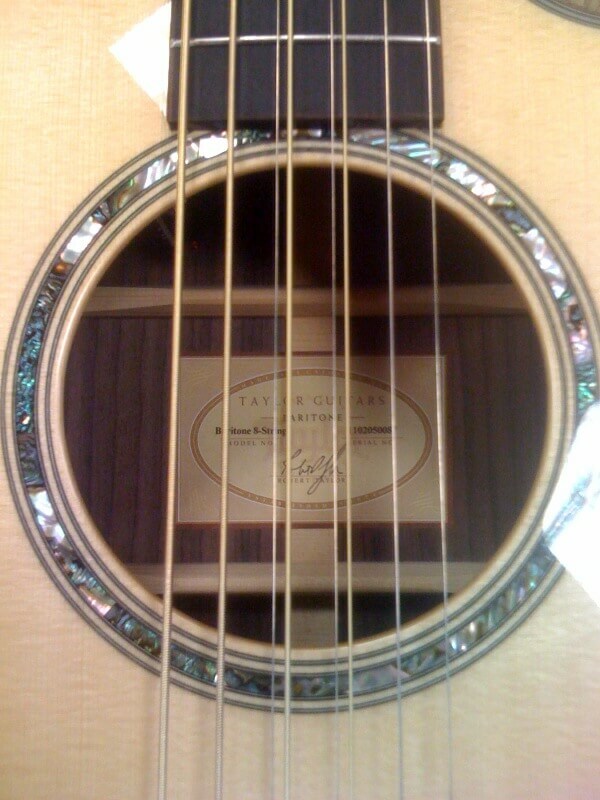 The guitar also includes the Taylor Expression system. 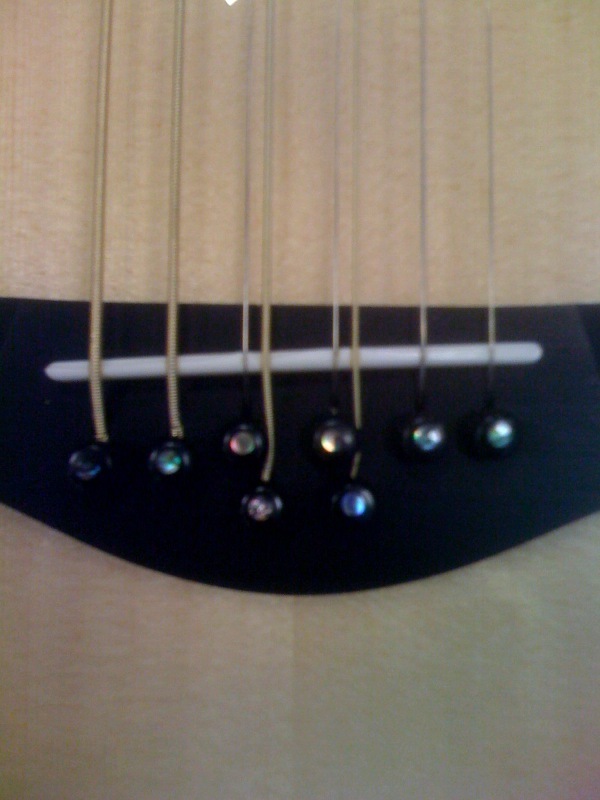 This awesome on-board amplification system incorporates three different magnetic sensors located strategically on different parts of the guitar: two are placed on the underside of the soundboard while a third is mounted underneath the fretboard extension which captures string and neck vibration. Sound and vibration from the three sensors are then synthesized into the preamp which boosts the signal cleanly and without distortion. This high-end system is available exclusively on Taylor models 300 and above and is setting the benchmark for acoustic-electric electronics. This phenomenal guitar is currently available for anywhere between $2800 and $4000 and can be picked-up either on-line or through local retailers. Yes, this model will set you back a pretty penny! 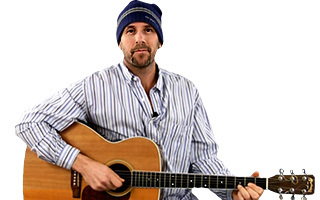 But the materials employed in construction are impeccable, and Taylor has tailor-made this instrument for players who seek to upgrade their equipment to a professional level while still keeping style and electronic features high on their priority lists. Unique and exceptional! The Baritone 8-string Grand Symphony plays like a 12-string but with a roomier, broad bass response. The tuning of the strings is different from other guitars in that it's tuned from B to B, a lower register and certainly weighing heavily in the bass end of the sound spectrum. Subsequently, the feel is much different from any guitar I've played and really challenged me to explore the neck space as well as the difference in sound quality. Singing along with it was unusual as well and compelled me to make some adjustments in the range I was singing, as well as the phrasings. Despite the fact that I needed to make some alterations in the manner in which I approached the guitar, once I acclimated to its anomalies I truly enjoyed the different feel and unique bass response that I experienced while playing it.